The Park Tool CM-5 Chain Cleaner utilizes a rotating brush and two-step cleaning process to get your chain really clean. Many innovative features make this chain cleaner our choice. The newer 5.2 model features stronger locking clips to keep the cleaning fluid inside, and a more ergonomic handle. 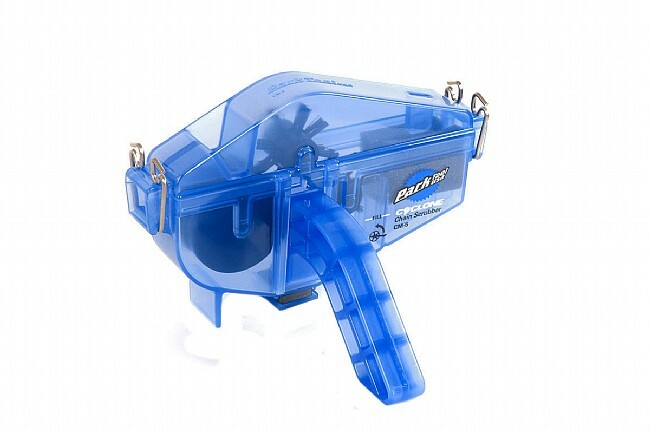 Why use a rag when you can have this Park Tool CM-5 chain cleaner! This is hands down the best way to clean and tune a chain. Paired with the Park Chain Cleaner fluid, this is the best. The only complicated thing is figuring out where to gear the bike to where the chain doesn't slip off, but once you get that down, it's great!!! The chain cleaner is a little clunky to use, but it gets the job done. Using a small amount of citrus cleaner diluted with water will pull out dirt and grease. I have used other lesser brand chain cleaners, and I must say this one is top notch quality and construction. Much more durable in hand. Works as advertised. 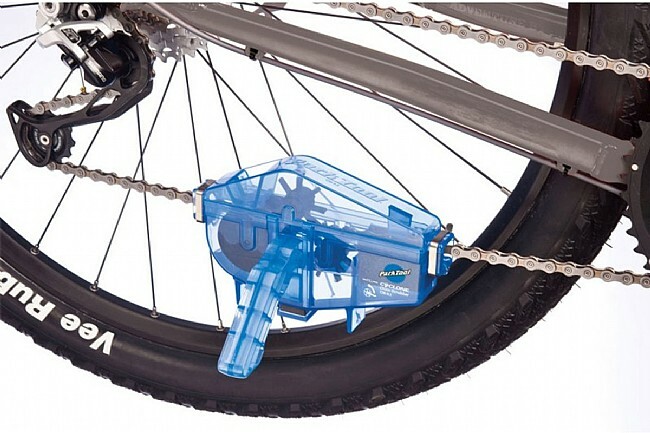 I've found that this is the best and easiest way to keep my chain clean. I use a citrus based solvent and it works like a charm. Be careful not to drop this though, as the plastic will crack and then it leaks.